Attempting to ply your trade from an island that is obsessed with the electronic pulses of dance and techno music and where DJs hold more pulling power than your average rock ‘n’ roll band, the road to fame and riches was always going to be a tough one for the four amigos who are otherwise known as The Frigolos. It would seem that recognition of the Spanish quartet’s musical abilities has largely gone unnoticed on the island of Ibiza, which is an unfortunate predicament the four band members of The Frigolos find themselves in. In order to win over the masses and appeal to those who are less interested in rock ‘n’ roll with a definite modern twist, The Frigolos is certainly going the right way about it. By cooking up a potent blend of rockabilly mixed, intermittingly, with the frantic rhythms of psychobilly as well as producing near straight country ditties, it is this skilful amalgamation of the various genres involved that leaves one to simply categorise it as engaging rock ‘n’ roll. 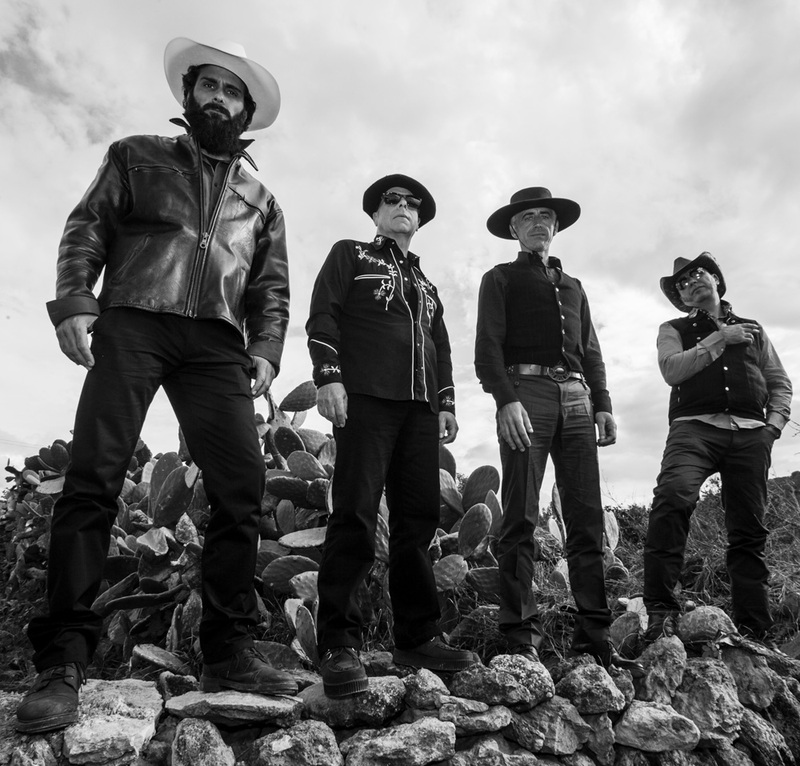 Having formed approximately two years ago, The Frigolos also has the advantage of time on their side due to being the new kids on the block, and therefore one of the reasons why unfamiliarity with their version of rock ‘n’ roll still lingers in relation to their own backyard. 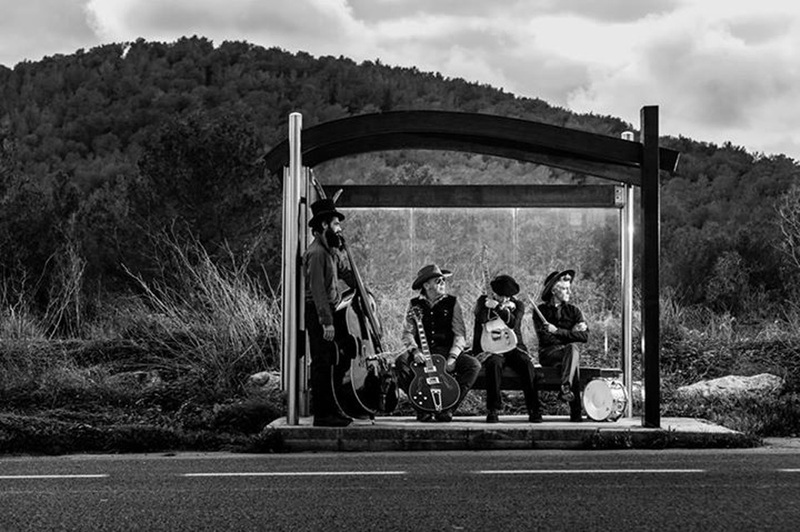 All of that could be about to change, however, as the band has written and produced their very first album under the heading ‘Hangover Sessions’, and one can already envisage this Spanish combo’s bandwagon gaining a considerable foothold in the coming months. By adopting what appears to be a current trend in the music industry of recording an album with a shorter amount of songs – there are seven listed here – The Frigolos ‘Hangover Sessions’ might be a short, sharp poke in the ribs via such examples as the opening, and rather wild gambit, ‘I’m Not Dead’, but it also manages to take a moment and draw its breath with the lonesome desert landscape feel of ‘Can’t Find No Place’, expertly created by the combined buzz and twang of the guitars which, overall, creates a compelling listening experience due to perfecting a fine balance of styles in half the time of a standard 10 – 12 track long player. With The Frigolos displaying much adroitness when creating the songs for ‘Hangover Sessions’ which, by its title alone, is also a masterstroke once each and every song makes itself known, add to that the gorgeous black and white imagery adorning the entire album package and the band’s determined attitude, then you have a recipe for success. The only thing still standing in their way of course, is the longstanding electronic scene that has become synonymous with the island of Ibiza and the people who flock there every year to experience it. If The Frigolos hometown remains largely oblivious to their rockin’ sounds, then perhaps the only thing for this four-piece band to do is take their ‘Hangover Sessions’ outside the Spanish border and try their luck in new territories where old and new expressions of rock ‘n’ roll reside together in rockin’ harmony. Such an idea is perhaps not too far from actually occurring as Famous Last Words (FLW) contact with The Frigolos was a process induced by the band’s drummer, P. J. Gonzalez, who took it upon himself to lure FLW into the world of this Spanish rockin’ combo by (rightly) talking proudly of the band’s merits, and spinning a few tracks from The Frigolos’ debut album. Once FLW was hooked on the sounds emanating from ‘Hangover Sessions’, the only thing left to do was offer the band an interview, which ended up a scribbled affair and sent via pigeon post. The subsequent responses to the questions sent were just as short and sweet as the songs lining the band’s album; largely down to a combination of language difficulties and the band maintaining the traditions of rock ‘n’ roll by retaining a certain amount of aloofness, and rightly so. Nonetheless, information regarding The Frigolos just went one step further in terms of the public domain, as FLW relays its answers to the questions posed regarding this Spanish foursome. How did The Frigolos get together as a band? What is it like being a rock ‘n’ roll band from Ibiza, and how are you perceived by the local people? How would you describe The Frigolos overall sound? What inspires The Frigolos when it comes to writing your songs? First album, ‘Hangover Sessions’, where was the album recorded and how long did it take to record? Do you have any favourite memories from the recording process for ‘Hangover Sessions’? Do you have a favourite song from the album? Who is responsible for writing the lyrics for the band? Are any of the songs based on your own experiences or taken from other situations? What were your reasons for writing seven tracks for the album? Who came up with the ideas for the photographic imagery for your album ‘Hangover Sessions’, and where were the images taken? If you could have one thing right now, what would it be and why? What has been one of the strangest experiences when either recording or playing live? Most amusing experiences as part of The Frigolos? What are the current plans for The Frigolos? What are your hopes for The Frigolos? Do you have a final word or phrase of the day? 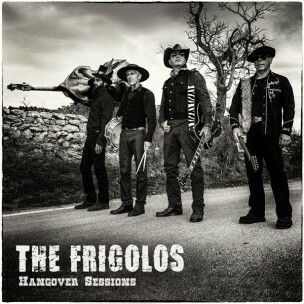 The Frigolos debut album ‘Hangover Sessions’ is out now and well worth investigating. I suppose it's a mishmash of all of our influences from rockabilly through to George Jones, The Cramps and The Meteors, that kind of thing." 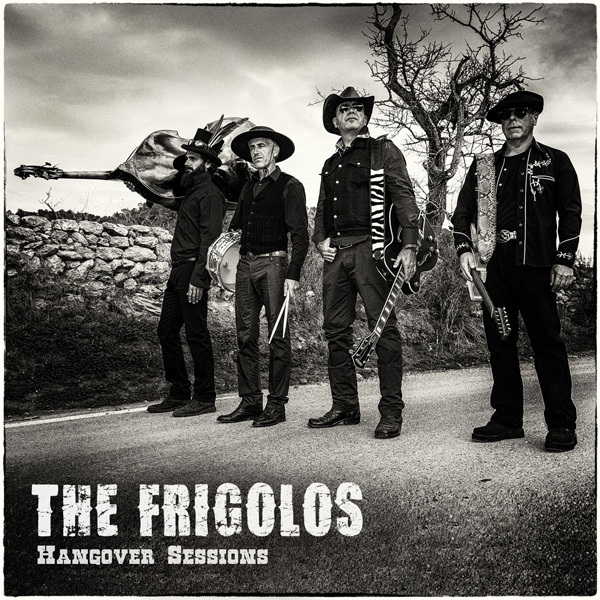 A track-by-track rundown on the songs making up The Frigolos’ album, ‘Hangover Sessions’. A frantic rhythm that brings out the psychobilly influence to full effect, with lead singer, Ricky Lee, in fine gravelly form adding to the intensity of this opening number. One of the firm favourites at FLW due to its atmospheric soundtrack. 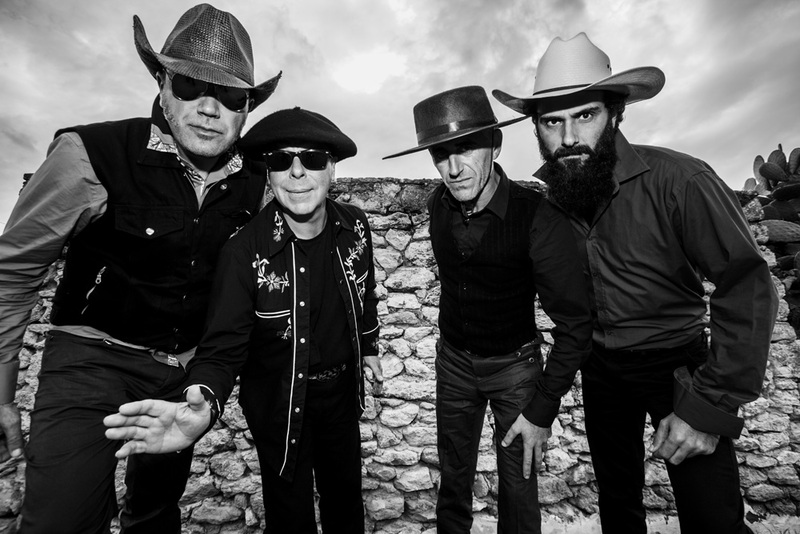 Partly owing a debt to Stray Cats ‘Runaway Boys’ in relation to the guitars, The Frigolos churn out a moody rocker with lyrics of a rather bleak nature. In other words, it’s great stuff!!! The first real country song and it’s a belter! Relays a parting of the ways in terms of a relationship, and reveals a tender side to the band. A jagged little ditty best illustrated by its irritable guitars and clever, clever lyrics that can be perceived in two rather different ways. There’s a grubby country swagger to this song, which ties in with the narrative, as we find Ricky Lee sneering his way throughout its entire contents in an attempt to rid himself of the woman and memories connected to a previous relationship. A charming conclusion to ‘Hangover Sessions’ that will have you swinging and bopping until the wee small hours.